Rabiah Mayas, associate director of Northwestern University’s Science in Society research center is back with another roundup of stories making headlines in the world of science. Early Wednesday morning, China’s Chang’e 4 spacecraft entered a lunar orbit after a 4.5-day flight to the moon. 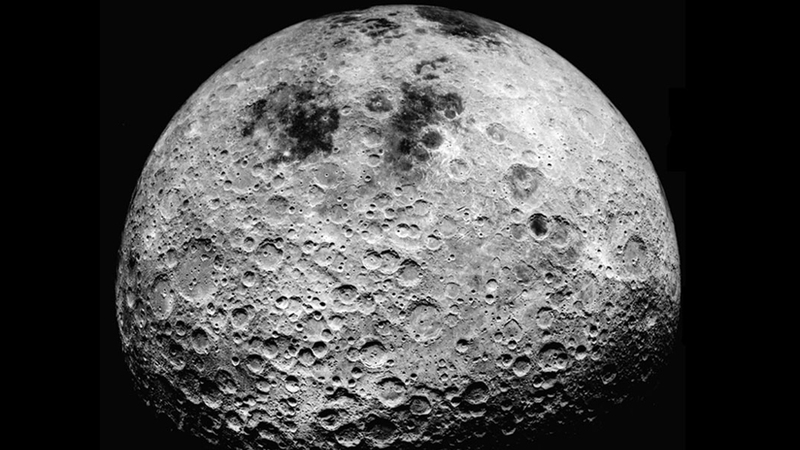 China is attempting to be the first nation to soft-land a spacecraft on the moon’s far side, which always faces away from Earth because of a phenomenon called “tidal locking.” The mission involves a lander and a small robotic rover equipped with cameras and tools to analyze lunar geology, make radio observations and analyze solar wind interactions. Data from the lander and rover will be relayed back to Earth by a communications satellite. China hopes to have a manned lunar base by 2030. University of Illinois at Chicago scientists have been given a $1.1 million, five-year grant from NASA to try and identify possible signs of life on Saturn’s moon Titan – but they’re going to do it in their lab. Researchers aim to recreate the extreme conditions that exist on Titan, where temperatures can reach -20 degrees Celsius, and pressures in its deep underground ocean can be up to eight times those found in the deepest part of Earth’s oceans. Once researchers recreate those conditions they aim to see if microorganisms that survive in extreme environments on Earth can grow in the lab simulation of Titan. If they can, it could be evidence that these so-called extremophiles – or something like them – could also survive on the real Titan. There’s a lot more life on Earth than previously thought – and much of it is beneath our feet. A multinational team of scientists conducting “deep life” studies have discovered a rich ecosystem that is almost twice the size of all the world’s oceans. It had been thought that lack of light and sources of nutrition, intense pressure and extreme heat would make it impossible for anything to survive deep within the Earth. Researchers found the reality is that the subterranean world is teeming with microorganisms. Life was found in samples from boreholes more than 5 kilometers (just over 3 miles) deep. A new study from the University of Illinois at Chicago has discovered a “genetic switch” that could ultimately lead to a cure for HIV. The switch causes the latent HIV virus inside cells to replicate. Researchers hope that they might one day be able to manipulate the switch in order to eradicate the virus. Cells that harbor the latent HIV are invisible to the body’s immune system, but this latest discovery suggests a cure for HIV could one day be possible. Researchers at Northwestern University have created what they claim is the world’s smallest wearable UV sensor. About the size of an M&M, the device warns users about their level of UV exposure (excessive UV exposure can lead to skin cancer). According to the scientists that developed it, the tiny device – which is solar powered – is virtually indestructible and can also be used to optimize treatment for people with certain skin diseases.